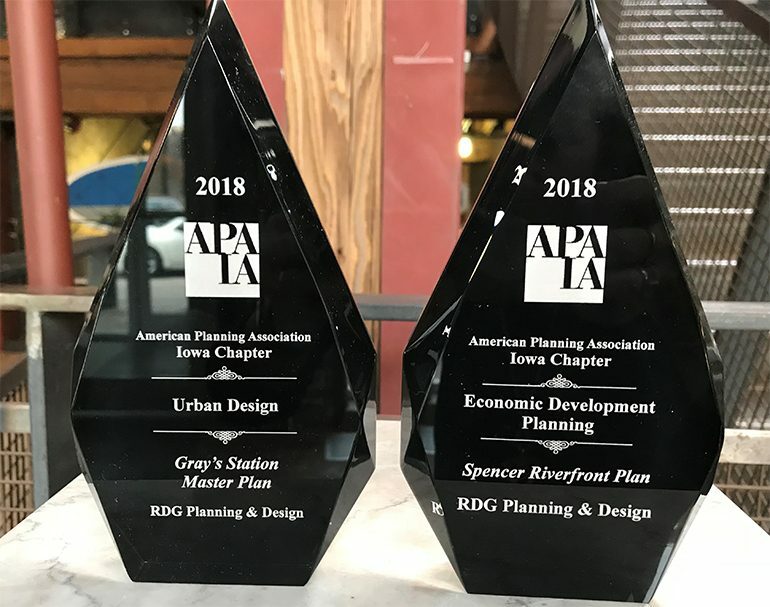 Each year, the Iowa Chapter of the American Planning Association (APA-Iowa) asks its members to nominate plans, projects, and individuals deserving recognition by the professional organization. Award nominees can be recognized in nineteen categories ranging from public outreach to distinguished leadership. 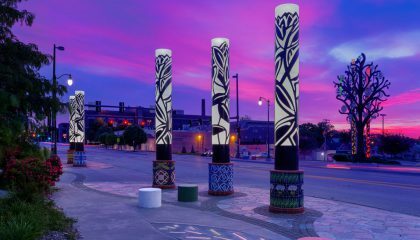 Based on an independent review by a jury of professional planners from the Wisconsin Chapter of the APA, eleven nominees were selected to receive APA-Iowa Awards in 2018. Gray’s Station Master Plan receives the Urban Design Award. Spencer Riverfront Plan receives the Economic Development Planning Award. 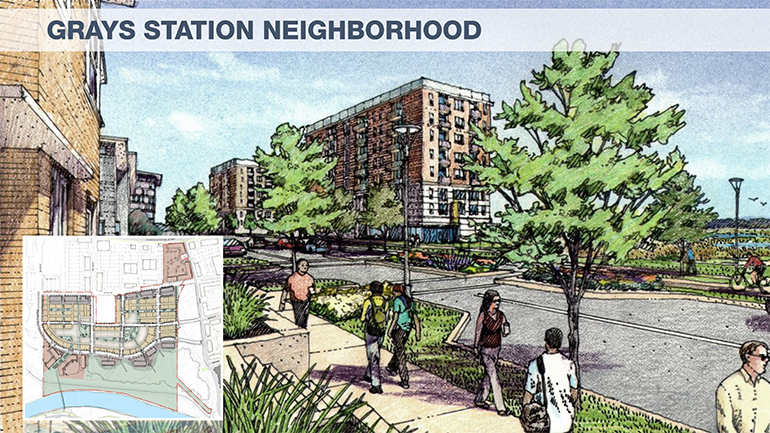 The Gray’s Station Master Plan is a collaboration between RDG and Hubbell Realty to envision a neighborhood that extends downtown Des Moines by 84 acres through careful planning of a greyfield site. 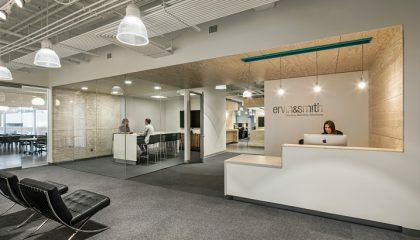 Its design creates an opportunity for multiple generations to remain working and living in urban densities while providing a high quality of life, wellness opportunities, and living spaces that are adaptable to a variety of abilities. 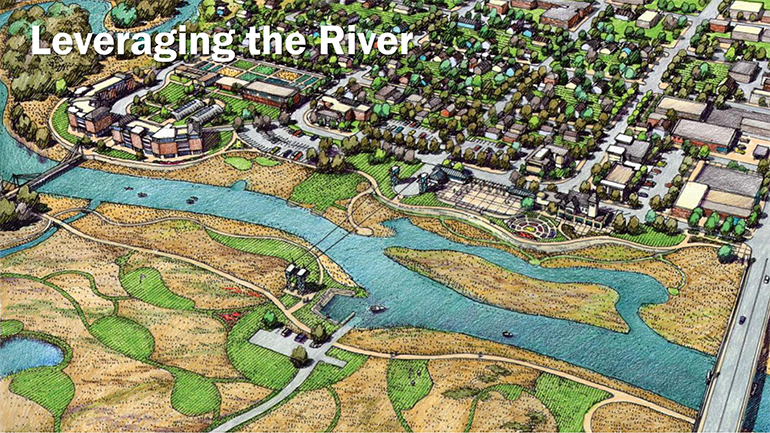 The project defines diverse land use, open space, and mobility options while transforming the site’s role in the regional watershed from a current utilitarian baseline into a model for urban stormwater.